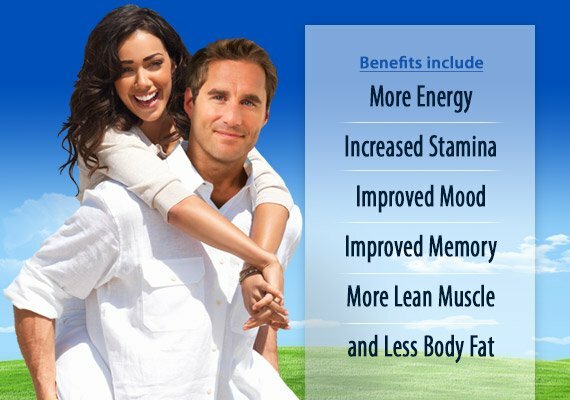 Restore your youthful energy. Our physician prescribed solutions have helped thousands of men just like you. Symptoms like low energy – once accepted as a natural part of the aging process – may actually be due to low testosterone. Yes, Low T may be the reason why you feel you have no energy. How can testosterone boost my energy level? Testosterone not only drives your sexual desire, it also maintains muscle, increases stamina and generates energy. So, if you’re interested in fighting fatigue and increasing your energy level you could be a candidate for testosterone replacement therapy. Regular exercise helps you feel more energized, controls weight, and improves your overall health, but low testosterone levels can leave you feeling tired and unable to get proper exercise which, in turn, leads to weight gain, inadequate sleep, and chronic fatigue. It’s a vicious cycle that not only zaps your energy, but can lead to serious health problems including diabetes. It’s important to understand the causes of low testosterone and its related symptoms as well as the appropriate treatment for this condition. So, if you’re suffering from chronically low energy you should have your symptoms checked. Now that you know, why suffer another a day when you can do something about it? Fill out the form above for a no obligation consultation to find out if testosterone replacement therapy is right for you.